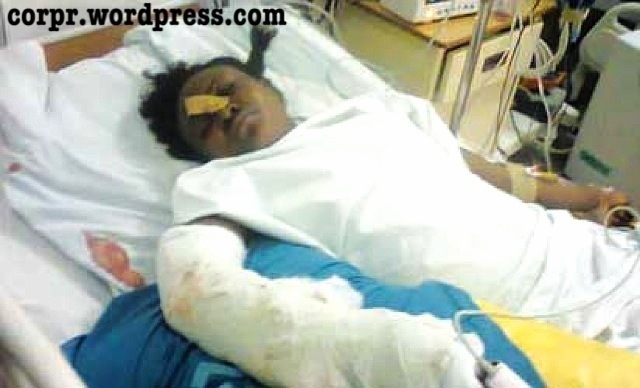 Police arrest 2 attackers of female ‘corper’ in Bayelsa - Corpr! Two people have been arrested in connection with the gruesome attack of Folakemi Akinbode, a National Youth Service Corps (NYSC) member serving in Bayelsa state. The 26-year-old lady was attacked late on Monday by hoodlums who tried to dispossess her of her bag while returning from work. Akinbode’s arm was almost chopped off in the attack which occurred at Obunagha in Yenagoa Local Government Area but there are reports that an Italian firm is willing to sponsor the victim who has regained consciousness overseas for proper medical treatment and rehabilitation. The two arrested suspects, identified as Ebi Jatto and Weriye Aluwa are said to be making useful statements to the police over their involvement in the attack. They were both apprehended at Koroama community about two kilometres from the scene of crime while attempting to sell the mobile phone of their victim. The youth of Obunagha community were reported to have assisted the police in locating both suspects. The corps member, it would be recalled, was attacked at about 8.30pm while returning to the lodge near the Niger Delta University Teaching Hospital, Okolobori, her place of primary assignment. Miss Akinbode, a graduate Nurse of Madonna University was reported to have been in charge of huge amount of money used by the hospital to pay blood donors at the blood bank section of the hospital. Confirming the arrest, the traditional rule of the Obunagha community, the Ibolou XI, H.R.H Godsgive Apoh, said the prompt arrest of the suspected attackers was made possible by emergency meeting of youth vigilante body set up to investigate and apprehend those involved in the attack. The state Police Public Relations Officer, Mr. Alex Akhigbe, confirmed the arrest but said they were yet to establish the motive behind the attack. 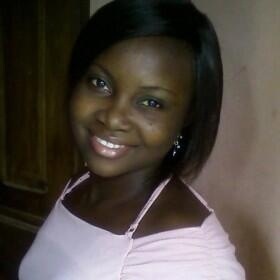 NYSC Member Battling With Life After Brutal Attack by Cultists | Corpr. NYSC Member Battling With Life After Brutal Attack by Cultists - Corpr.